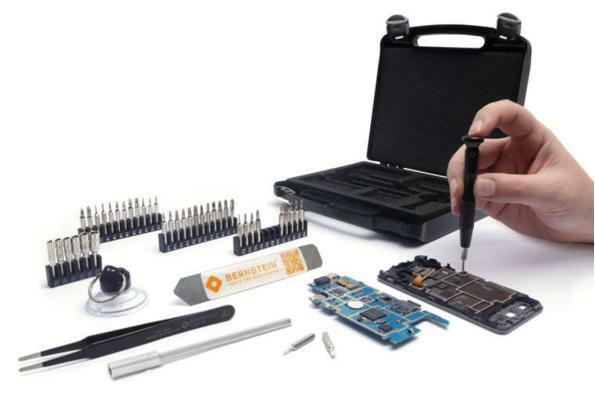 SET DE 47 HERRAMIENTAS PARA REPARACION DE SMARTPHONE Y TABLETS. INCLUYE: MANGO PERILLERO ESD DE ALUMINIO CON PUNTAS INTERCAMBIABLES CON EXTENSION.PUNTAS INCLUIDAS: PALETA: 1 / 1.5 / 2 / 2.5 y 3 MM PHILLIPS: PH000 – PH00 / PH0 / PH1 TORX :T3 / T4 / T5 TORX CON GUIA: T6 / T7 / T8 / T9 / T10 / T15 PUNTA TRIANGULAR: 1.6 / 2 / 2.2 / 2.3 MM TRIWING: 0 / 1 PUNTA CUADRADA: S0 / S1HEXAGONAL: 0.9 / 1.3 / 1.5 / 2 / 2.5 / 3 MM PENTALOBE: P2 / P5 / P6PUNTA DADOS: 2.5 / 3 / 3.5 / 4 / 4.5 / 5 MM. 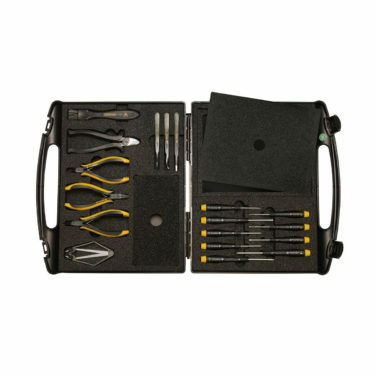 HERRAMIENTA DE SUCCION PARA EXTRACCION DE PANTALLAS DIAMETRO 42 MM, HERRAMIENTA ESPECIAL DE APERTURA DE 120 MM, ESTUCHE PLASTICO CON ESPUMA DE ALTADENSIDAD PREFORMADA PARA INSERTAR HERRAMIENTAS 180 X 172 X 44 MM. 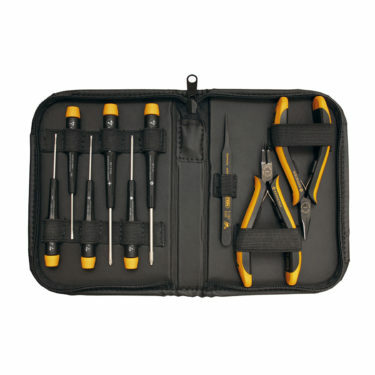 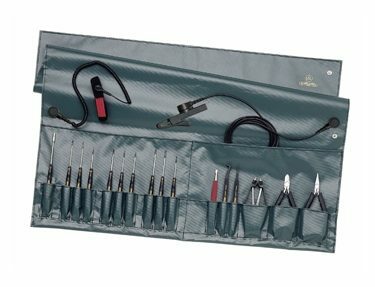 ESTUCHE SERVICE SET, CON 16 HERRAMIENTAS ESD.